Lessons Learned: Best. Birthday. Ever. Last week I turned 33, while on the road. I received an incredible amount of good news all at once. 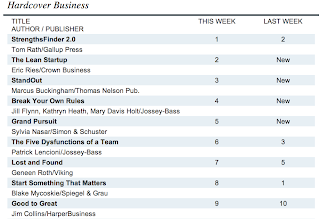 First off, I received the big news that you'll get to read if you open up the paper this coming Sunday: The Lean Startup has debuted at #2 on the New York Times Bestseller List. Look closely, and you'll see The Lean Startup right below televangelist Joel Osteen and right above The Guinness Book of World Records. 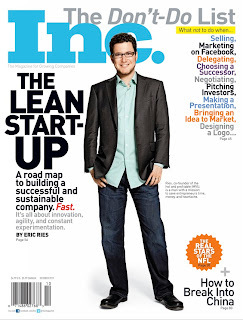 If you click through, you'll get to read a significant excerpt from the book in the current issue of Inc Magazine. But by far the best part of my birthday was getting to spend it with so many of you. (OK, the Chicago Lean Startup Circle's minimum viable birthday cake was pretty awesome, too). I have spent the past two years working on this book. I have believed all along that - with your help - we could take these ideas to a mainstream audience. You've done your part. By supporting the book in such large numbers, you've put it on the map for thousands of new people: entrepreneurs, managers, investors, and policy makers. As those people actually get a chance to read the book, we'll find out if I've managed to live up to my part of the bargain. I hope the book is worthy of the faith you all have placed in it. In any event, thank you. It's been an amazing ride - and the ultimate birthday present.